This committtee will coordinate the distribution of health care needs, donated supplies, help with elementary, pre school and clinic makeover, and health and education symposiums. This Committee is headed by Ms. Arlette Paul. Anyone willing to assist in any way should contact Ms. Paul at lettiep@optonline.net. This Committee will organize and coordinate the various projects that will be worked on, distribution of materials for projects, food and drinks preparation and distribution. This committee is focused on organizing the carolling event throughout thibaud and making sure that it reflects the true carolling spirit of what it used to be in Thibaud . This committee will organize sports and games activities the day of worship, beach barbeque, domino and card tournament and bon fire. This committee will also help the Gala, and talent show Committees to set up entertainment. This committee will also oversee music for all activities. This committee is headed by Mr. Jefferey Bruney. The vice chairman of this Committee is Mr. Joey Augustine. They are both interested in hearing your ideas. They can be contacted at jeffreybruney@hotmail.com. This committee will organize the collection and distribution of toys throughout the holiday season as well as the children's christmas party, including activities, food and drinks. This committee will organize a traditional Thibaud Bazaar fitted with the coconut branches and bamboo around the park, stalls throughout the village, music and an exhibition in the school, as well as a dance later in the evening. 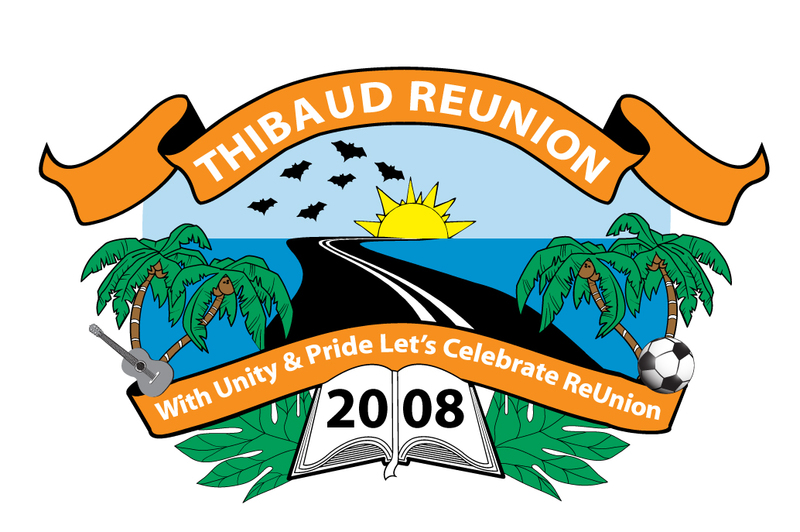 This committee will help identify members of the community who have made a difference in Thibaud the community in various areas and present them with awards at a gala event. This committte will also organize a recognition day the elderly in community. Mrs. Pearl Canoville Douglas is the team leader for this committee and in Thibaud, Mona Francois. Any one who has experience in publishing and printing, media production, Ad. soliciatation or any other experience related to putting on a spectacular gala and publishing a journal should contact Ms. Douglas, and also any one who wants to be on the committee just to volunteer their time and ideas, should also contact Ms. Douglas at pearlox@aol.com. Various Cities will also have their City Committees: eg the New York Commmittee, The London Committee, The South Florida Committee, The Guadeloupe Committee, The Toronto Committee etc.